If you need hemorrhoid relief right away, there are many available options—and, most importantly, don’t worry because hemroids are not seen as a medical emergency. Unfortunately, they are annoying to deal with and can cause a lot of pain and discomfort. However, with the right hemorrhoids remedies, you can gain control over your symptoms and get the hemorrhoid relief you are seeking. You can control your hemroids in a variety of ways. Let’s cover the popular ways in which you can handle your hemroids; to put an end to them once and for all. 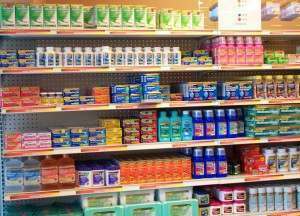 There are a few popular ways to treat hemroids using over-the-counter products. Most of these hemorrhoids remedies work to reduce the severity of hemorrhoids by shrinking down tissues in one way or another. Most formulations use active ingredients that help provide hemorrhoid remedies that actually work. Many over-the-counter products are appropriate for internal or external hemroids, and can usually do a good job of resolving your condition, especially if your hemroids are mild. Hemorrhoid Cream. Popular vasoconstrictors help to shrink down blood vessels. Astringents. Common hemorrhoids remedies using ingredients like witch hazel help to reduce swelling and work for 2-3 hours to help hemorrhoid relief. Medicated wipes or pads. These are good for carrying around on the go. Wipes or pads will typically use protectants that condition the skin, and other active ingredients such as those found in astringents. Herbal remedies. Some of the most effective treatments include alternative herbal remedies that help shrink hemroids naturally. Most hemorrhoids remedies use a proprietary blend of herbs, but you can look for them using Witch Hazel, Butcher’s Broom, or Horse Chestnut. For severe hemroids, you may have to consider professional medical treatments to gain hemorrhoid relief. Before you consider invasive surgery, take a look at the following alternative options and discuss them with your doctor. Sclerotherapy is an injection administered directly within the hemorrhoidal tissue. Hemorrhoids remedies such as sclerotherapy use a chemical (generally a hardening solution) to break down the hemroid tissue. With repeated treatments, sclerotherapy works to shrink hemorrhoids, causing them to eventually fall off during a normal bowel movement. Therefore, with continued therapy, you can permanently absolve your hemroids. Most often, sclerotherapy is used to treat bleeding internal hemorrhoids. It is one of the least invasive hemorrhoid remedies available. It works by withering away the hemroids. The chemical solution, which hardens the hemorrhoidal tissue, is usually phenol-based, often using almond oil or a saline solution as a buffer. This solution, when injected into tissue, will cause the hemroids to shrink and wither away. Sclerotherapy is one of the hemorrhoids remedies that have gained a lot of popularity. Treating multiple hemorrhoids at once is generally possible, even for elderly individuals. If you have larger hemroids, sclerotherapy is not your best hemorrhoid remedy option. A drawback to sclerotherapy is that it does not permanently eliminate the hemorrhoids since they can return more easily than with other methods. Unfortunately, hemroids usually return after about a year of sclerotherapy therapy. This is one of the most highly-recommended treatments since its one of the easier methods that provides low reoccurrence of hemroids. 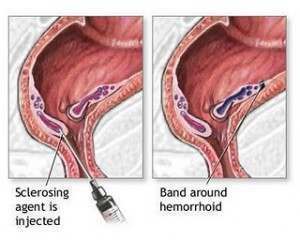 Rubber band ligation uses rubber bands to shrink hemorrhoids by cutting off the blood flow, causing them to shrink. After hemorrhoids are withered, they fall off in about a week after treatment. This medical procedure is one of the most popular hemorrhoids remedies available. The downside to this procedure includes pain in the rectal area and lower abdomen. This is due to the physical restrictions that are imposed on live hemorrhoidal tissue. However, if you can put up with the pain, you can enjoy hemorrhoid relief within a week’s time. Rubber band ligation is appropriate for treating large hemorrhoids. Generally, this treatment can work on one or two hemorrhoids at a time, but your doctor may recommend treating more hemroids. If so, you will be placed under general anesthesia. Rubber band ligation is a one of the more widely used hemorrhoids remedies for treating and absolving hemroids. It provides lasting hemorrhoid relief. As an added benefit, it is one of the least expensive medical methods available. This treatment is commonly called coagulation therapy. It’s used mainly for treating small to medium-sized internal hemroids but can provide great hemorrhoid relief when used for new hemorrhoid problems. Coagulation therapy uses an intense beam of infrared light to shrink hemorrhoids. The infrared light works cutting off blood supply, thus withering them away. The only downside is you may experience a great deal of pain immediately after the treatment, however, your doctor can provide a prescription to help with pain management. Like sclerotherapy, this is one of the hemorrhoids remedies that have gained a lot of attention in the last five years.